Maybe you have been doing Zumba for years, or perhaps you are just beginning – either way, choosing an athletic shoe for your Zumba workouts can seem like a monumental task. There are many choices out there for you to pick from; so we’ve attempted to bring together the best shoes for Zumba and explain why picking the right shoe for the workout can help maximize your fitness potential! Choosing the right Zumba shoes to match your physical activity is very important to maintaining an injury free body. Blisters, sprained toes, ankle soreness, and other problems can arise from wearing the wrong shoes for your activity. There are many differences with the types of shoes available to purchase, and choosing the right pair will help you to maximize the full potential of your Zumba workout! We will investigate which shoe type is appropriate for dancing and which type you should avoid. These are made for forward directional movement with good traction and support. Traction is important, but with Zumba, you need a shoe that allows for fluid movement in all directions. The shoes also need to bend and allow for greater movement and comfort, so the arch support of running shoes is not important. Avoid running shoes for Zumba if you can help it; you will likely not appreciate the performance of your footwear during your workout. These are good all purpose shoes, but again they aren’t made for fluid movement in all directions. They have a sturdy construction to support the foot upon impact, plus ample padding to help reduce join wear on long walks. These also should be avoided when doing Zumba, but are a better choice than running shoes by far. These are the best fit because they are designed to help support your body while in motion. They typically have two balance points, one in front and one on the heel. Now we aren’t talking about ballerina shoes; there has been a huge development in the dancing shoe industry with the popularity of hip hop, street dancing, and contemporary styles over the last few years. So what makes dancing shoes different? The support is restricted to the front and back of the foot, they have breathable construction, soles that are very flexible, and have low-tread outsoles to allow for smooth movement, reducing knee strain. Now that we know what type of shoe to choose, you must narrow down the exact pair of shoes you want. Some would argue that the best Zumba shoes are those made by the Zumba company. Obviously this is a safe choice as they are designed with a Zumba workout in mind. They have a wide variety of Zumba shoes for women. With both high-top and low-top styles, you’re sure to find a true fit. They also have many attractive colors to coordinate with any workout outfit. Don’t like flashy colors? Zumba has traditional black and white options for a more toned-down look. If you are looking for a wider variety of options for Zumba shoes then Nike has several options for you. It may be harder for a Zumba beginner to find Nike Zumba Shoes since the company doesn’t have a category for shoes with that exact purpose. With our research, the best option seems to be the Nike Flex shoes for women. They have several attributes that lend to being perfectly used as Zumba dance shoes. With Men’s Nike shoes, any cross trainers that have low to no tread may be used successfully as good shoes for Zumba. New Balance has developed a great candidate for Zumba shoes called the WX867 Cross-Training Shoe. It has a pivot point outsole that makes it perfect for dancing. It comes in three colorful options and is definitely an affordable choice. New Balance shoes have a sturdy construction and are becoming a front runner in the athletic shoe industry. So if you are a New Balance fan, then they may be the retailer of choice for your Zumba dance shoes. The Puma company has always had great all around athletic shoes for any sport. They have even developed a wonderful Zumba shoe with the PUMA Women’s Janine Dance Shoe. It has all the features that make it a perfect Zumba shoe; a traction pivoting sole, low cut dance style, and a rubber sole. There are also many color options and the price starts very reasonably; they’re so affordable that you could buy a pair to match all your Zumba outfits! Although there are no specially designed “Ryka Zumba shoes” offered, there are several options to choose from with their “training shoe” line. Some of the more popular choices are Ryka Exertion, Influence, and Transition styles. They are designed with many of the features that are vital for a good dancing shoe. These shoes are also an affordable option with prices similar to those of Puma dance shoes. With so many choices, you are sure to find a great, affordable pair of Zumba shoes that will be perfect for your workout. Pick the pair that matches your style and have fun with them. 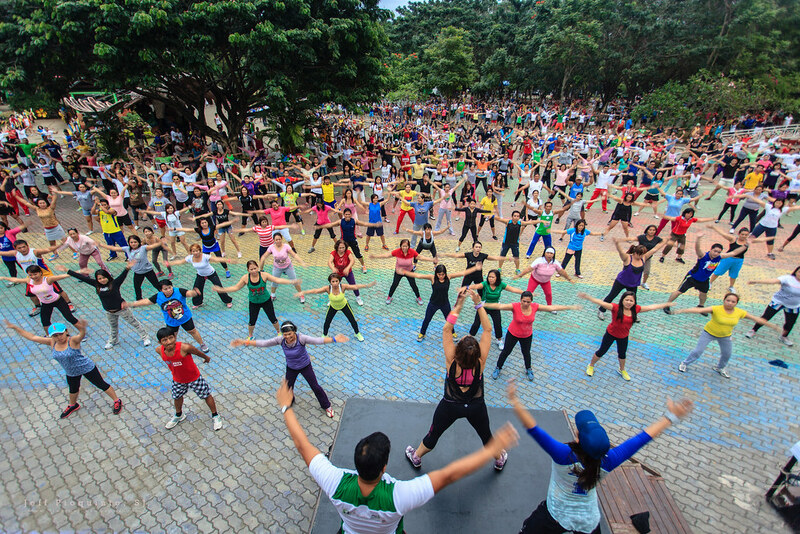 Zumba is after all an exercise created to make working out fun and exciting! Previous articleA Stripper Shoes Guide Ready for the Stage!